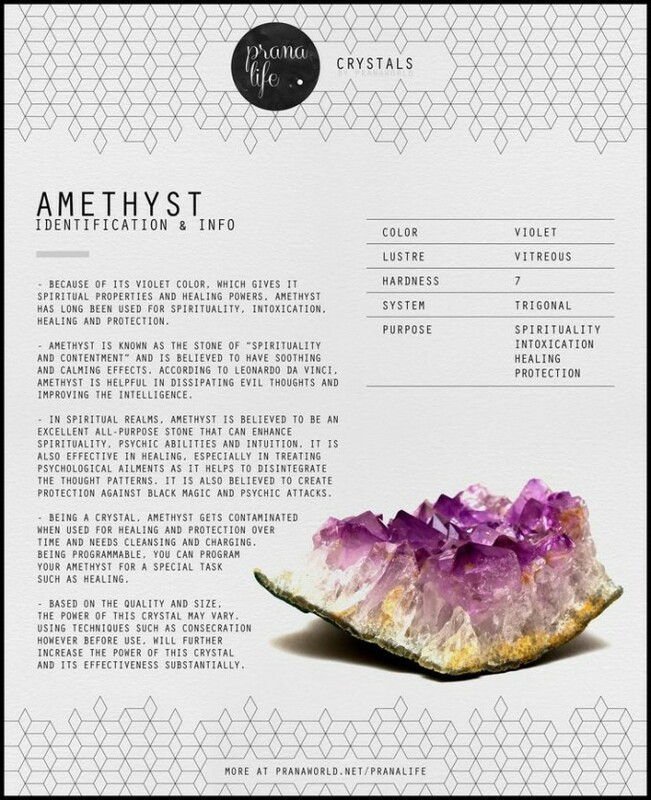 Amethyst Inspiration To Purify And Energize Your Life! 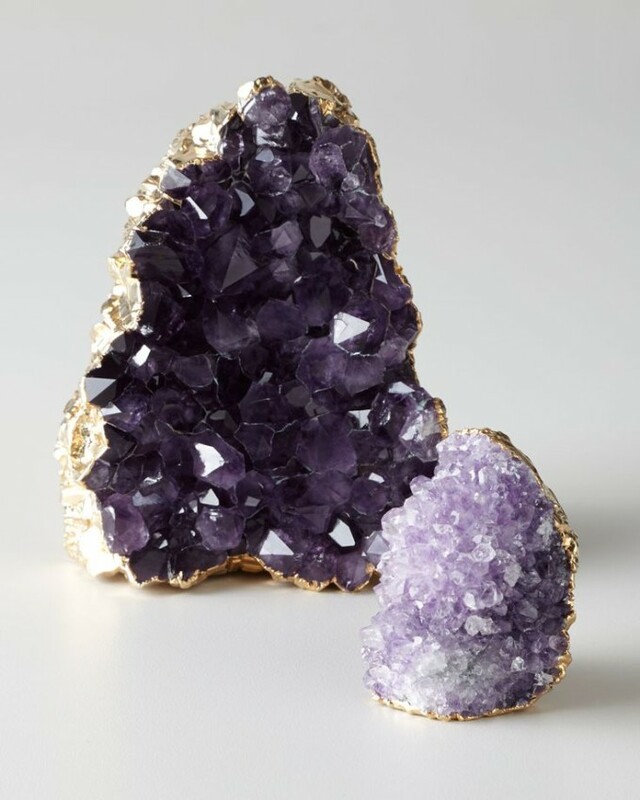 One the most universally-wonderful crystals is amethyst. It charges other stones. It purifies. It is gorgeous. Its color is confounding. It’s the one crystal I’m missing from my collection, somehow shockingly (! )… But not for long! 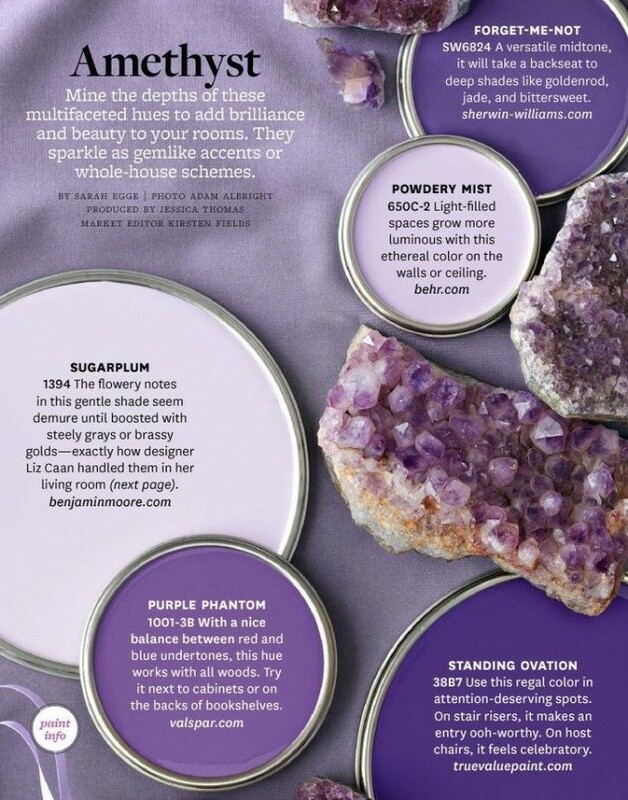 Today, lots of amethyst inspiration will help you to both use the color, and the crystal, in gorgeous ways! How can you help but love this? Awesome for every room of the house, this crystal is an A+ in my book. A rich violet greeting bespeaks royalty. Violet can create separation (and elevation) from others, which is not ideal in an extreme. 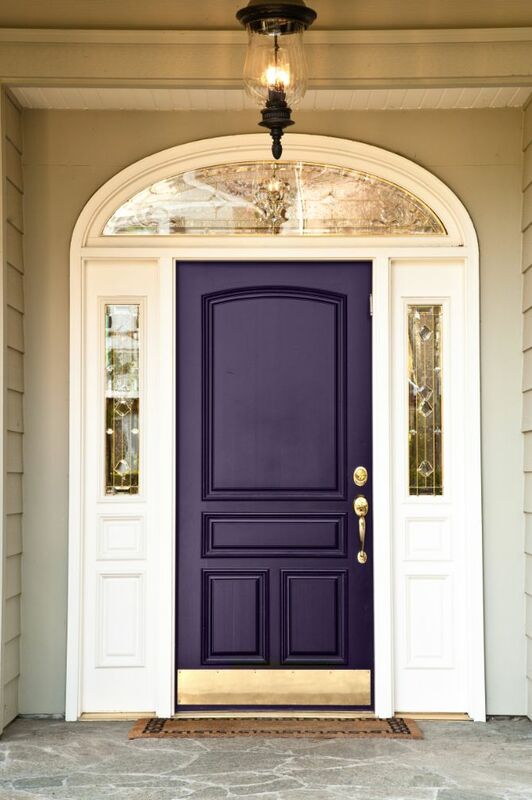 You want to be sure to temper a violet door (or any other huge expanse of violet) with other elements (like the metal and glass here) to keep it from creating too strong a statement of separation from others. Even Leonardo da Vinci believed that amethyst could wipe away bad juju and make you smarter!!! This sofa is pure regal majestic greatness. 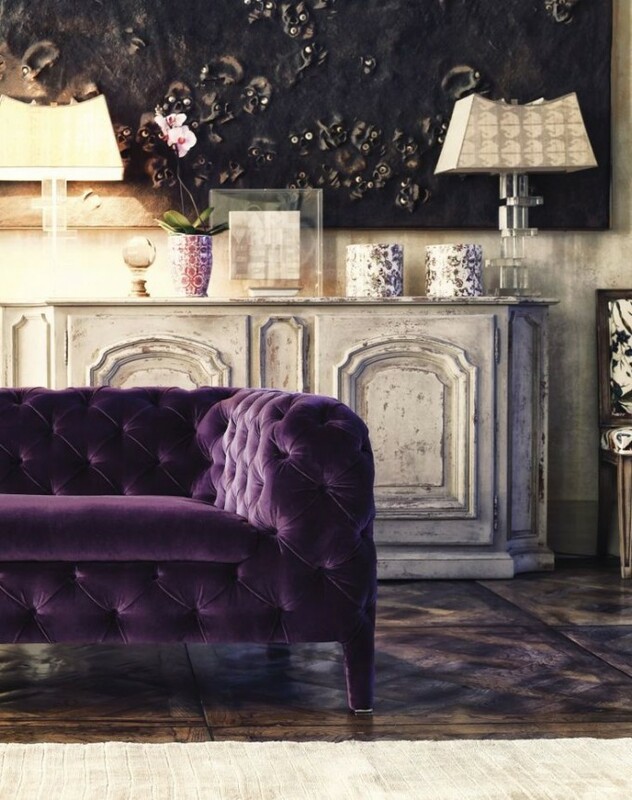 You can learn HERE how to use violet in your home with more feng shui savvy! But this jewel tone of amethyst is emotionally resonant and amazing! I’m off to start scouting out my own stones… and I hope you do the same! Even a bowl of tumbled amethyst on your desk is great peace for the day! Previous post: Group Your Plants! Next post: Awesome Gallery Walls In Space-Shaping Style!